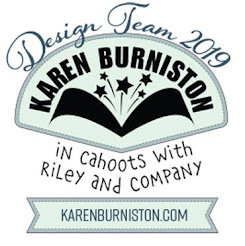 Welcome to our April Karen Burniston Designer Challenge. 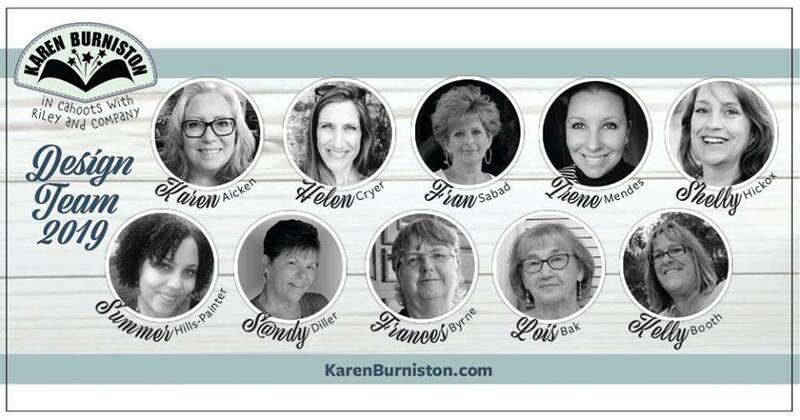 Our challenge theme this month is .... "EASTER OR SPRING" - incorporate the Easter charms, Spring animals or Happy Spring into your project with an Easter or Spring theme. 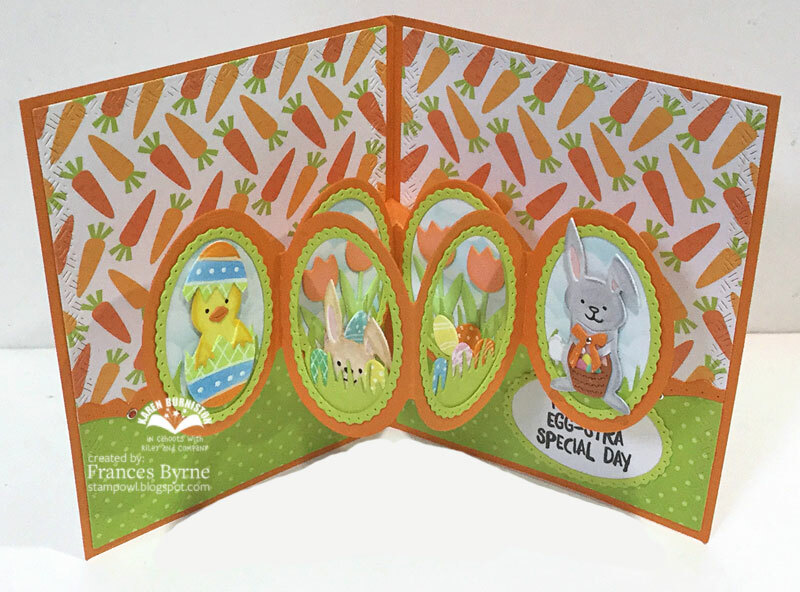 For my card today I used the Oval Frames Pop-up die set, I added designer paper to the background of both the front and inside of my card by using the largest rectangle from the Crosshatch Rectangles die set. 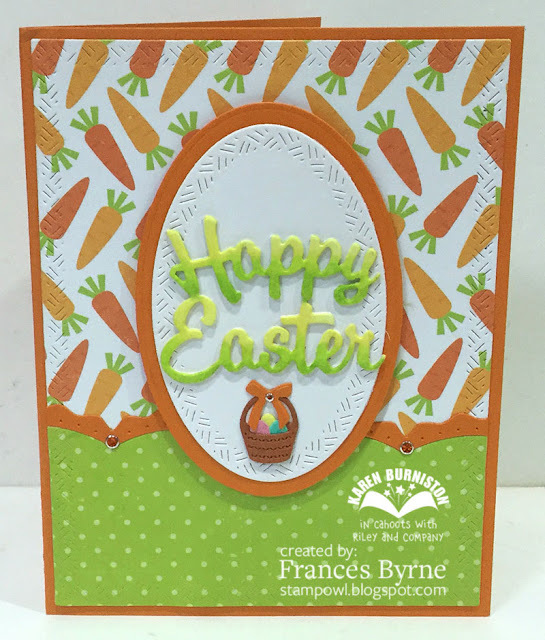 For the green panel along the bottom, I used one of the borders from the Border Blends - Party die set, die cutting the top of the patterned paper. 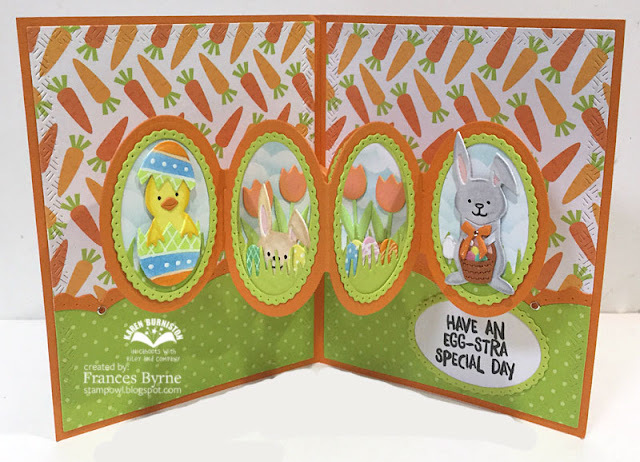 I used the same die set to create the scallop etc from orange cardstock which I added along the top of the patterned paper. To decorate my card I used the Easter Charms, Spring Animals & Garden Charms die sets. 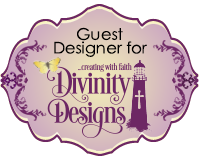 I added a stamped sentiment to an oval on the bottom right hand side of my card. 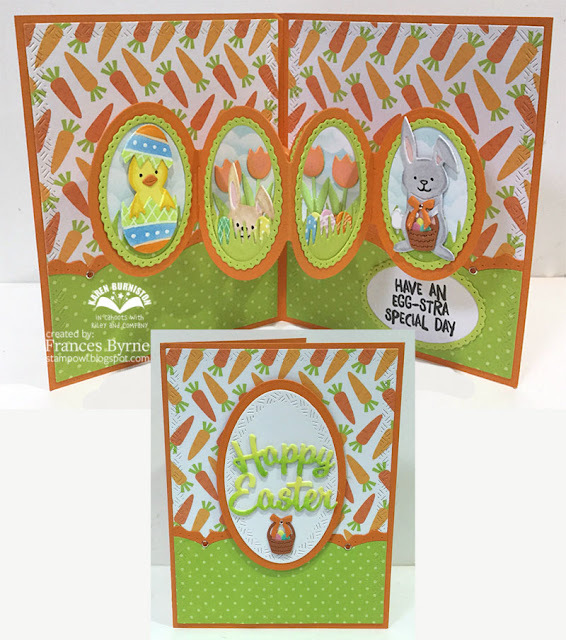 For the front of the card I added an oval using the Crosshatch Ovals die set and added the "Happy Easter" sentiment from the Easter Charms die set as well as the basket of Easter Eggs from the Spring Animals die set. I love the use of the carrot patterned paper for the background. What a bright cheery card.